Google recently launched beta version of Google music. Its a free service by Google which allow you to store and play music files online. 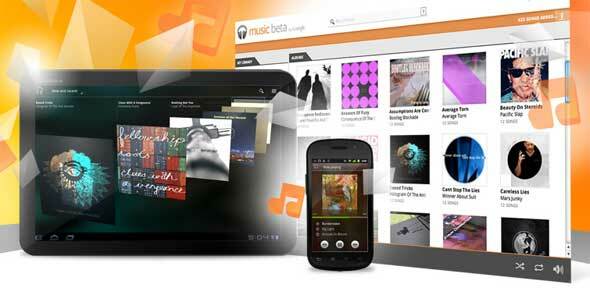 Google Music allows users to upload and stream music files to a personalized online storage space. Users can save upto 20,000 of own personal music files for free. You can play / stream these music files online from your desktop or Android 2.2 + phone or any device that supports Flash. Currently its in beta version, and registration is allowed only via invitation. Google is not going to check if you have uploaded a genuine music file or a pirated file. If you have a Google Music account, you are free to upload pirated music files and listen the tracks whenever you want. A user can also share his account with his friends and thus he is sharing music files on web for free. Is there some sort of source that can be cited on this? Everything I have heard about Google Music has stated that the one drawback many find with the service is that they will be doing hashing or some sort of fourier analysis on all of the files and anything that can be recognized as clearly pirated, i.e. the digital footprint of a known, pirated torrent, will be deleted on principle. Did they reverse something? All of the blogs I read a couple days ago had numerous criticisms for the decidedly anti-piracy stance Google was taking. Just curious. Excited either way, I actually was one of the few who had no problem with it. It could go either way. Google is allowing anyone to upload anything they want, legal or illegal. However, they did state that they “will respond to requests by rights holders who feel their rights have been violated.” What has not been revealed is exactly HOW rights holders will be checking to see if any pirated music is on a user’s account. There has been a lot of speculation on the methods that might be used, but we simply do not know. Either the statement was only made to avoid any legal action against Google, or they are really allowing music companies to spy on everyone’s uploaded music library. Nobody in Europe is going to use this. Everybody loves Spotify. Google should buy it and integrate it with plus.